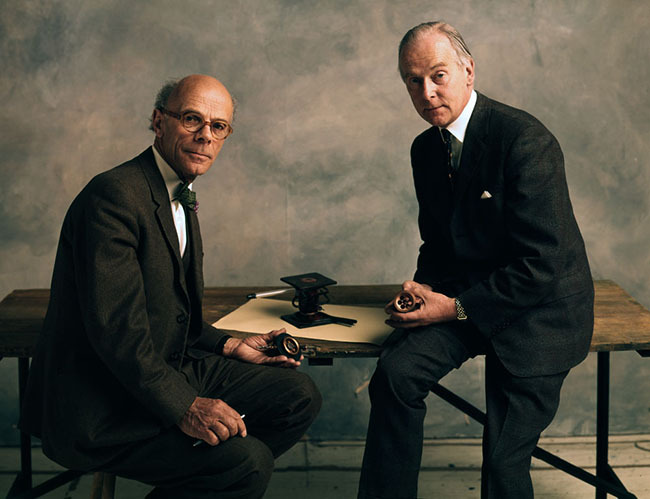 Prof. Sir John Randall & Dr Harry Boot photographed by Duffy in 1975 for the Sunday Times. Randall & Boot produced the cavity magnetron which enabled surfaced submarines to be located precisely in the dark which turned the tables of the Battle of the Atlantic in Britain’s favour during World War II. Quote ref: ST_024_01 if you require press information regarding this image.